We are only five days away from the 2017 edition of the Heps Cross Country Championships – or, as the Ivy League wishes me to call/advertise it, the Ivy League Heptagonal Cross Country Championships*. 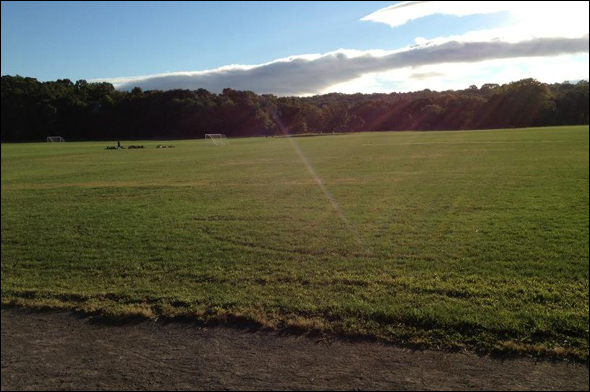 This year, the conference returns to legendary Van Cortlandt Park in the Bronx, New York on Friday. The women will commence the 6km race at 11am ET while the men will race their 8km at noon. Awards to follow at 1pm ET. If you can make the trek out to the Bronx, do it. A Heps Championships is an event like no other, especially in a place with such rich history and uniqueness like Van Cortlandt Park. 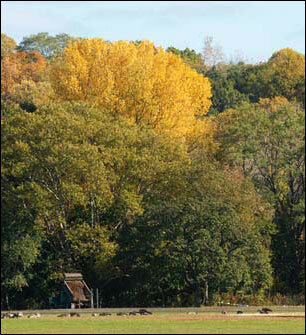 Van Cortlandt has its challenging technical aspects like Cemetery Hill and Freshmen Hill and variable scenery ranging from forests to open fields. Course maps are available on Iona College’s athletic website (notes: 5 mile and 8km courses are basically the same, while the 6km course will feature an extra loop around the open fields before going into the woods and following the 5km course). Also, the weather is looking optimal for cross country racing as the 7 day forecast is predicting sunny skies with the highs in the mid-60s. If you want to read up on HepsXC meet history, check out our links for the men’s and women’s record books. Feel free to print them out and bring them to the race with you – we like to share this history for free. Stay tuned later this week as we will release some previews of team and individual battles for Friday. Disclaimer – the Ivy League admins always keep asking HepsTrack.com to use the #IvyHeps hashtag when we’re promoting anything Heps Championship related. We have our reasons on why we like #HepsXC, one of which is saving precious character space due to the 140-character limit on some social media platforms, while another is just history. While we may not actively promote #IvyHeps in all of our posts, we’ll let you know that the other hashtag is out there. This entry was posted on Monday, October 23rd, 2017 at 7:55 am. It is filed under Featured, Heps Champs, Spotlight. You can follow any responses to this entry through the RSS 2.0 feed.